Winter is never much fun for gardeners. But there are some plants that simply amaze and can soften the blow of cold, snow and ice on the gardener’s soul. 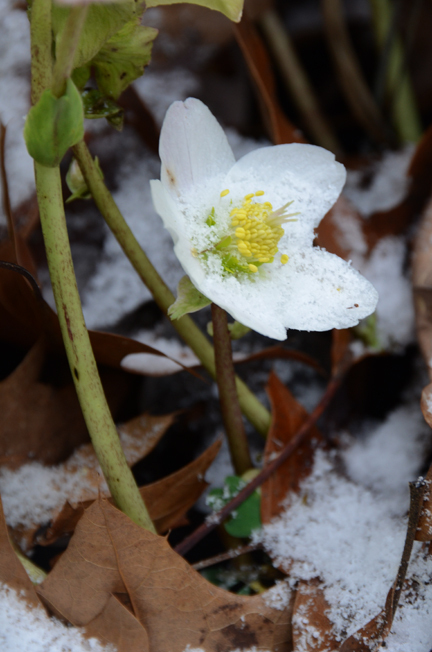 Helleborus niger or the Winter Rose is one of them. It begins to bloom in November or December when just about everything in the garden had gone to sleep. Even when temperatures flirt with zero, the pink flowers persist, eventually turning pure white. During a thaw the Winter Rose will stand erect to lure in the bees. I’ve been growing them for nearly 30 years now and seeing those buds emerge as fall fades away is one of the joys of the winter garden. During a thaw, honeybees are drawn to the plant, as it’s one of the only sources for pollen or nectar. It’s best to find them at a good garden center during the growing season. I like to plant them in spring if I can find them, that give the plant time to get established. Helleborus niger is also sold as an indoor holiday plant, something that’s come into fashion over the last few seasons. I found a couple in December and planted them outside during a mild start to winter and even after a short cold snap, they are standing their ground. Their dark green foliage is evergreen, adding interest to the garden year round. It prefers part shade. Morning sun and afternoon shade would be perfect. Once in place hellebores resent being moved, make it happy by planting is soil amended with compost. Growing the Winter Rose is a way to to add a little color and joy during the bleakest season. A double spring blooming hellebore. 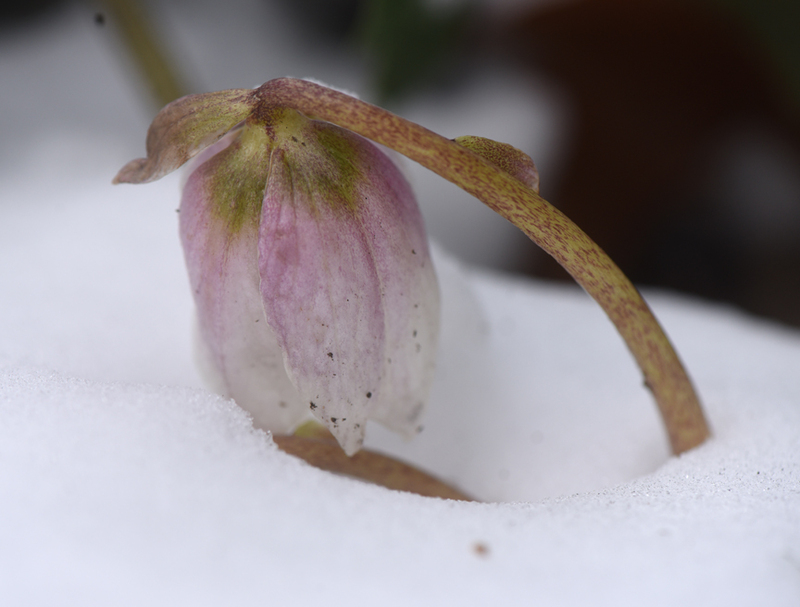 This hellebore blooms with the crocus, extending the season on the other end.